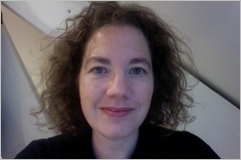 Rachel Feuchtwang is Managing Director of Schweigman&, producing the work of Boukje Schweigman since 2014. Schweigman& is best known for its ground-breaking visual and movement-based performance in site-specific sensory spaces. Earlier works include the durational performance Walking created by Boukje Schweigman and Theun Mosk with Robert Wilson, for the Oerol Festival. In the 1990s based in London she worked with Michael Morris at Cultural Industry bringing international artists to the UK, including Pina Bausch, Robert Wilson, Robert Lepage, Christian Boltanski. Together they also produced Shockheaded Peter that toured internationally for a number of years. After re-locating to Amsterdam in 2000 she was Head of Arts for the British Council Netherlands until 2007. From 2007-2014 she worked in research and strategy with a range of artists and organisations including Moti Roti, the thinktank Kennisland, the Dutch Cultural Leadership programme and produced a number of works with the Dutch artist Dries Verhoeven.